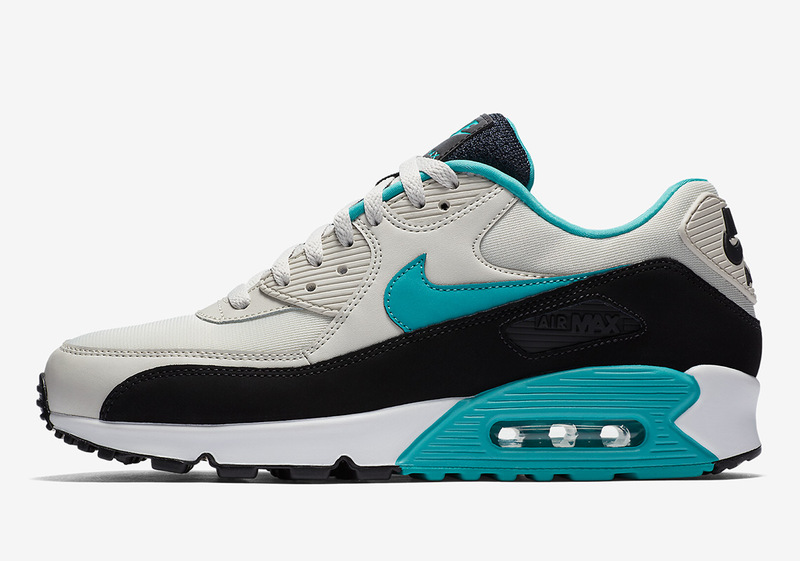 Nike’s Air Max 90 Essential silhouette is back and currently available in an attractive “Sport Turquoise” color scheme. Its mesh upper is primarily adorned in Light Bone, while Black and White provide subtle support that allows for the aforementioned Sport Turquoise hue to act as the focal point. It dresses up the concealed midfoot Swoosh as well as the instep, Nike Air branding on the tongue, and bumper on the midsole. Those looking to add another Air Max 90 to their collection can do so by logging onto Nike.com right now and buying a pair for $110 USD.